Banish crumbs from the bottom of this everyday appliance for good with an easy cleanup in under 10 minutes. You use your toaster almost daily, but when was the last time you cleaned this receptacle for burnt crumbs? We have some good news: Cleaning this particular workhorse kitchen appliance is almost as easy as crisping up a delicious piece of bread. With minimal tools and just a few short steps, you’ll immediately notice a huge difference—namely a crumb-free counter space where your toaster sits and the absence of smokey scent the next time you’re looking to make breakfast. Just follow these easy steps to get started. 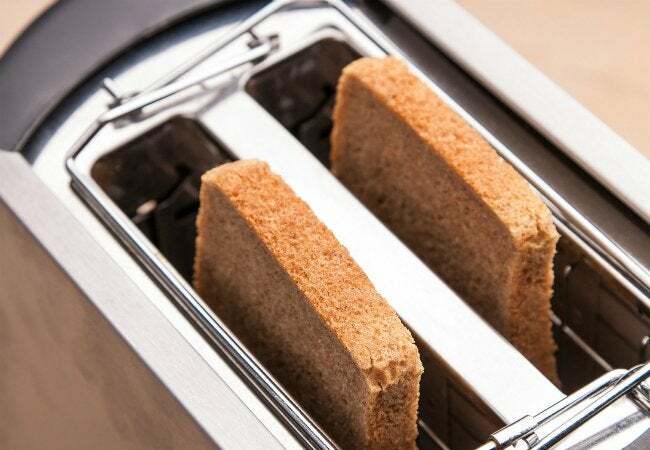 Unplug your toaster, and be sure it has cooled completely before getting started. If you can, bring the appliance over to the sink or an open trashcan for cleaning. It’s easy to accidentally dump crumbs everywhere when you jostle a toaster, so working over a catchall can minimize necessary clean-up efforts when you’re all done. 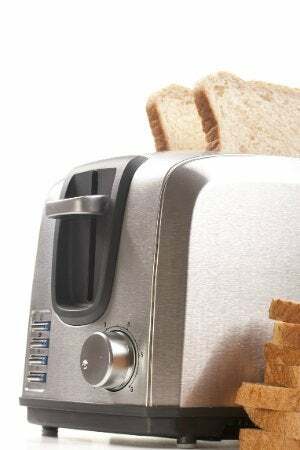 Many toasters include a removable crumb tray located at the very bottom of the appliance for easy collection and disposal of leftover crispy bread chips. If yours does, pull out the shallow drawer and shake off any loose crumbs. Then wash it with warm soapy water until it’s completely clean. Set the crumb tray aside to dry while you move on. But even a good shake won’t always dislodge the pieces that are really burnt and crusted onto the coils. To get every last crumb out of the tricky, tough-to-reach corners, stick your pastry brush in through the top slots and give the inside of the appliance a good sweeping. The bristles help to easily break up any clumps and remove crumbs without scratching or damaging your appliance. Next, wipe down your toaster’s casing, knobs, and levers with a damp cloth and some gentle dish soap to remove any finger smudges. Push the crumb tray—now completely dry—back into place, and wipe down the counter of any remaining crumbs. Now that you’ve undone the source of your crumb collection, future kitchen cleanup will be a cinch.